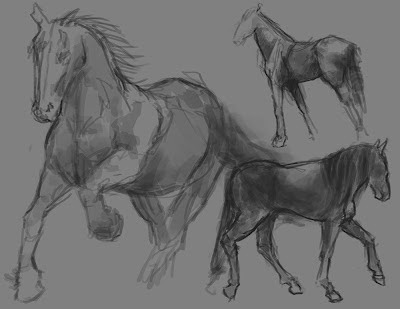 Irshad's Doodles and Rambling: Horsies! i like the left one because the dappling of sketchy shading accentuates motion. if you took the lines away, i think it'd still look nice as shapes in movement.